Manage your theatre with ease. A quick run down of some of the key features. 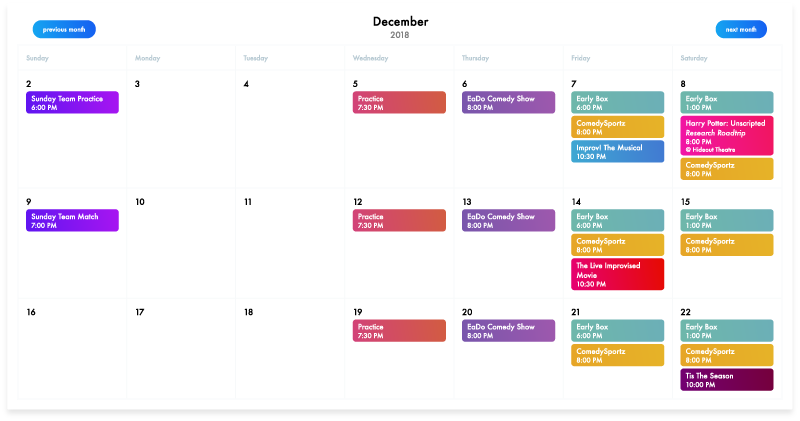 See all the color-coded events your theatre has coming up. Edit and update events easily. 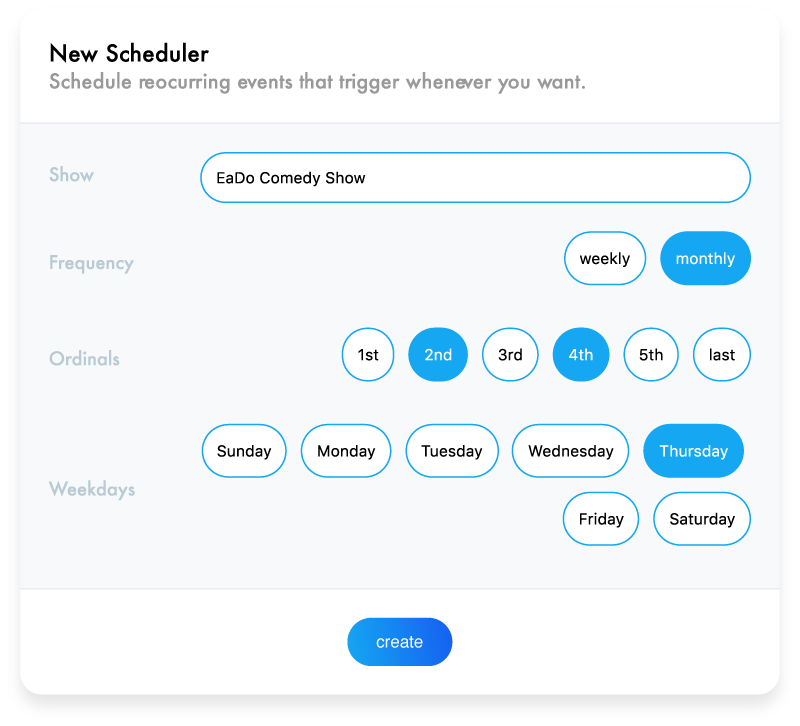 Simply drag and drop users into an event to assign them, all while easily seeing how often users are scheduled. Create event templates that allow you to create events with a single click. 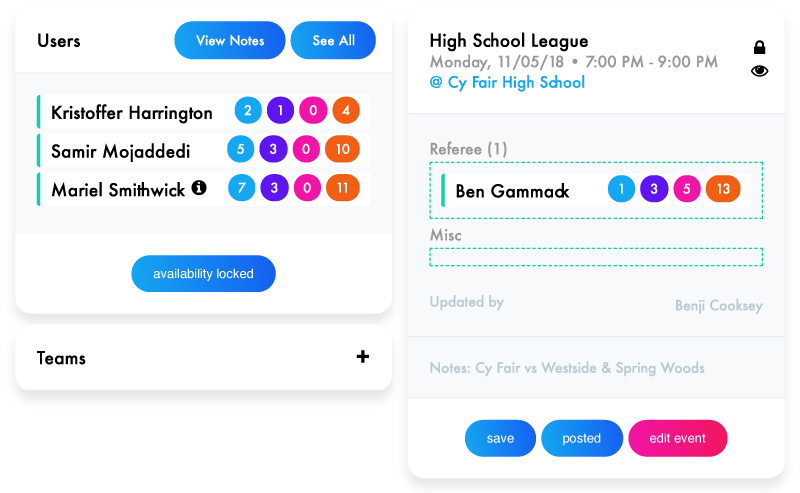 Set how long the event is, the location, which roles are needed, and who can see the event all in one place. Use your event templates to create regularly occuring events based on a custom schedule you set. See a complete overview of all the performers & staff at your theatre. See an overview of your users and what they know how to do. 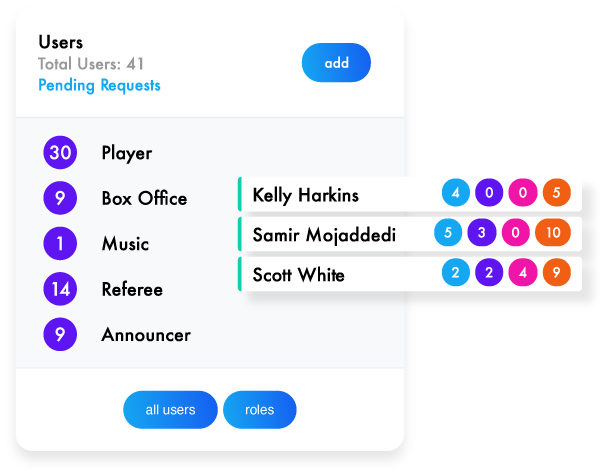 Then when scheduling you can even see how often each user is assigned to a role. 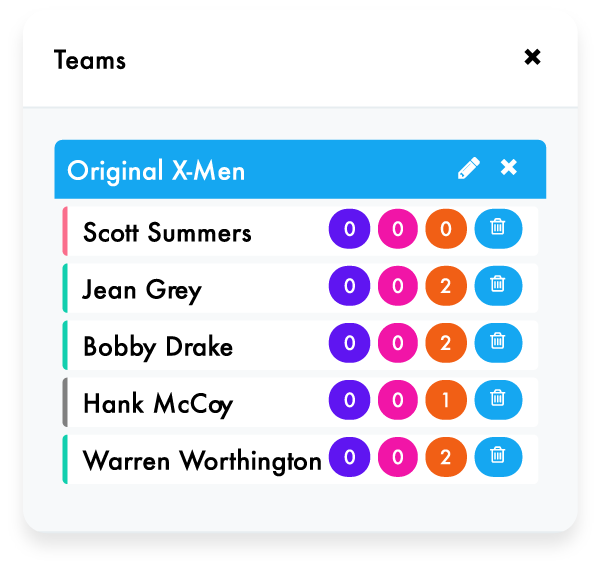 Create a team of users to easily see their availability & assign them to an event. 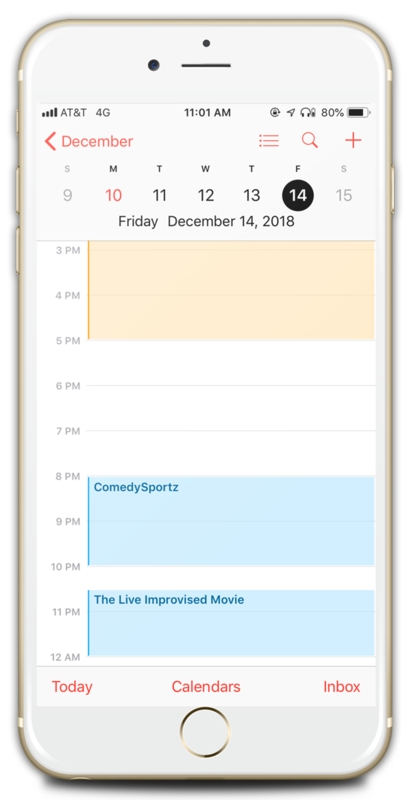 Sync your event schedule into Outlook, Google Calendar or iCal so you can easily access it on the go. 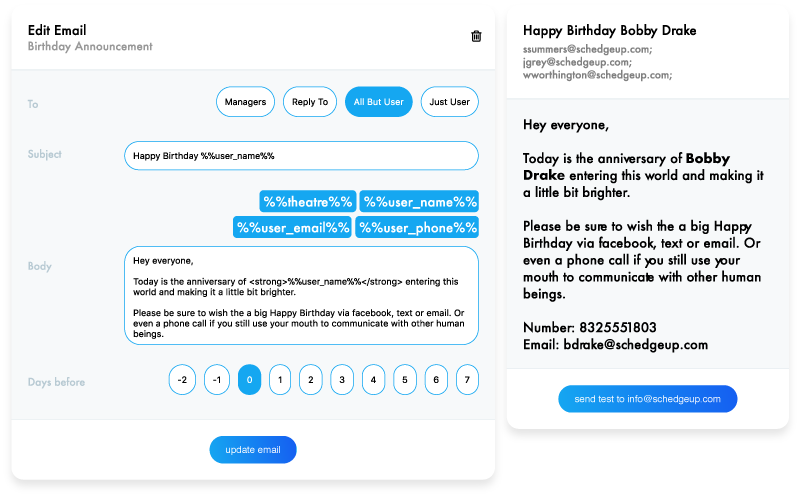 Send custom emails to all your users based on various triggers. Including: Event Reminders, Schedule for the Month, Birthday Announcements etc. Have your event line-ups automatically populate on your website when you post them. 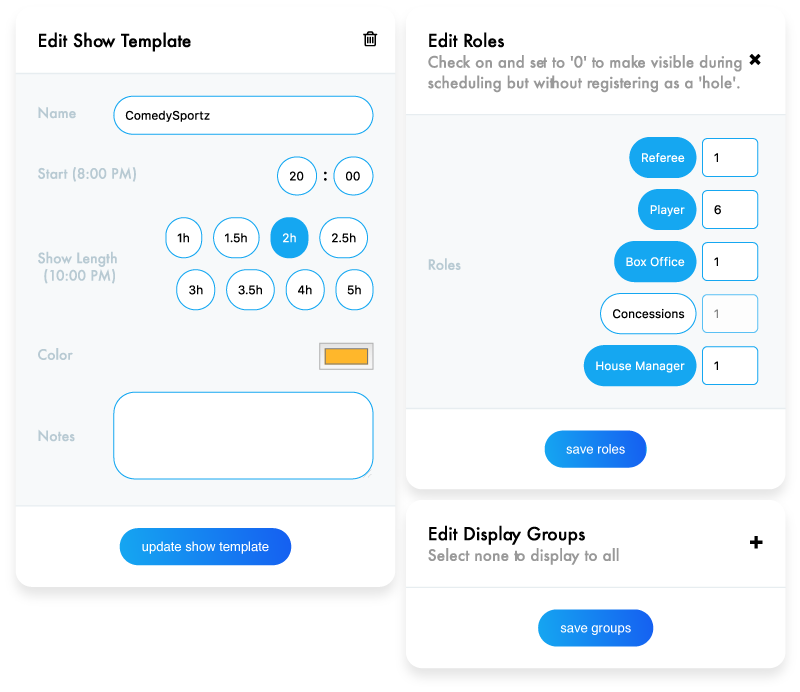 Allow your users to drop & pick-up shifts as needed. But don't worry, every exchange will have to be approved by you!